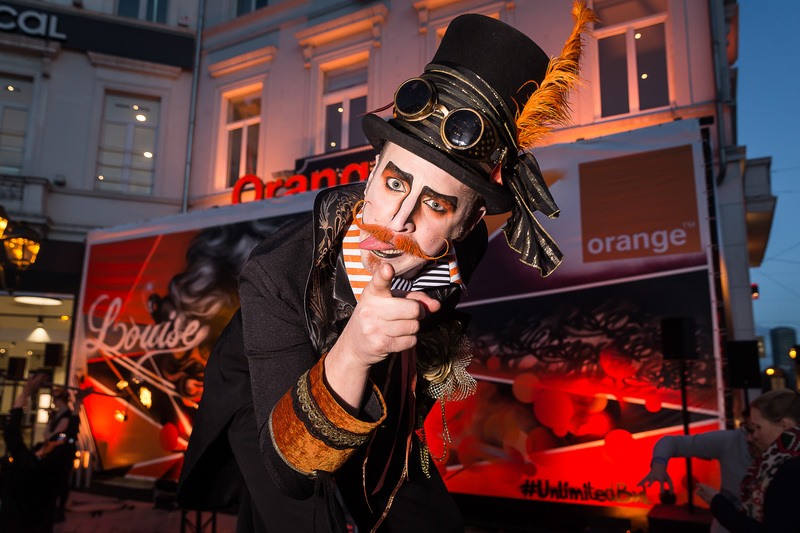 Yesterday 100 VIP guests were invited to the festive opening of Orange Belgium’s brand-new Flagship Store on the prestigious Place Louise in Brussels. They were treated to a live performance by ‘City Lights’ singer Blanche. Urban expressionist CAZN’ wowed the guests with his live art as they discovered the new store. As from today, the new store is open to the public. With a surface area of 150m2 the new Orange Flagship Store is one of the largest Orange shops in Belgium. Dedicated corners such as the Device Care corner allow Orange experts to fully assist the customers in their telecom adventures, whether it implies data transfers from an old smartphone to a new one, or private coaching lessons, seminars on mobile safety for kids, training for kids on coding and much more. SMEs and independents are also more than welcome as a dedicated Orange Business Center will be happy to address their needs. The Orange Smart Store is a new concept developed within the Orange group so international customers will recognize their favorite shop wherever they are and know they can expect the same unrivalled customer experience they are used to at home. After all, customer experience is at the heart of Orange’s operations. The Smart Store concept is organized around the thematic needs of the customer. It creates its own atmosphere and its own universe: On the Go, Home, Fun, Work… to guide customers through its range of innovations. In addition to this thematic universe, staff will handle all customer questions. Visitors can purchase products and call on services such as phone repair, subscription management, etc. Orange Belgium has 137 Orange Shops including 10 Smart Stores. The Orange Group has more than 1,000 Smart Stores throughout the various Orange countries.